The Weinlos Edmonton real estate market in Millwoods had a weak start in 2009 on a sold price per square foot basis versus the Edmonton average. 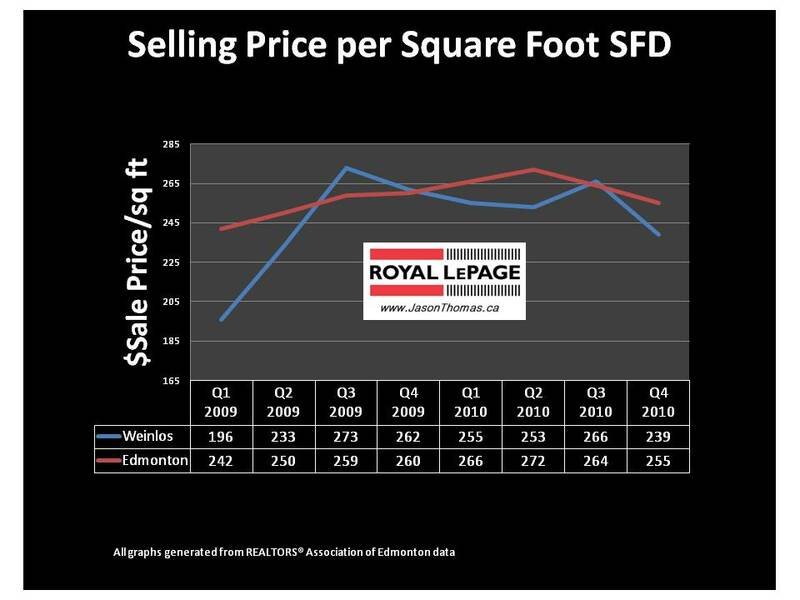 Weinlos by the 3rd quarter though had surpassed the Edmonton average selling price per square foot. Weinlos has remained fairly close to the Edmonton average sold price per square foot throughout the 2010 market. For more detailed MLS® sold data on Weinlos in Millwoods and other Edmonton neighbourhoods click here.